Italy or Greece: which country is more expensive? 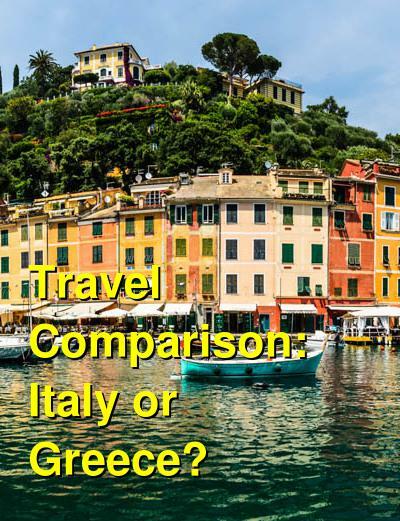 This comparison of travel costs between Greece and Italy examines average prices across multiple categories. Please visit each country's individual budget page for more detailed information. Should you visit Italy or Greece? Both Italy and Greece are popular tourist destinations in Europe and each country has a lot to offer visitors. Both Italy and Greece have their own unique history and culture. There are famous archaeological ruins and impressive museums in each country as well. At times, Athens may feel a bit more chaotic than Rome, but both cities are worth visiting for at least a few days, if not longer. If you're looking for beautiful beaches, then Greece may be your best option. In general, Greece is a bit more difficult to travel around because most destinations are either on islands or in mountain towns. 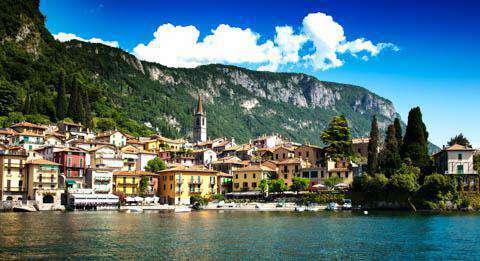 Italian tourist destinations are easy to travel between on a well beaten path. In general, Italy is a bit more expensive than Greece, but if you plan to take a lot of ferries, then Greece can quickly climb in price as well. Ultimately, it comes down to which culture interests you most, and how much time you might want to spend on the beach. When is the best time to visit Italy and Greece? Like much of Mediterranean Europe, both Italy and Greece are best visited during the late spring/early summer and fall months. If you time your travels well, you can avoid the peak season travel costs and the crowds that flood the area during the summer months. Temperatures are also cooler during these off peak times making the experience more enjoyable. During the winter months Greece can be a bit difficult to visit because there are far less ferries traveling between islands and many restaurants and hotels close for the season. Also take note that hotels can fill up quickly during the week of Easter, particularly in and around Athens. It's relatively easy to visit larger cities in Italy during the winter months. Most hotels and restaurants stay open and even offer discounts. Coastal areas and smaller towns can be a bit more challenging though, as many hotels and restaurants close their doors for the season. Why is Italy more expensive than Greece? Although the prices aren't dramatically different, Italy is slightly more expensive than Greece. Athens is a bit more affordable than Rome, and entertainment is also a bit cheaper in Greece. The cost of living in Italy is slightly higher than in Greece, and the of food and activities reflects this. Hotels are also pricier in Italy. The one exception is transportation costs. Travel between locations can be a bit more expensive in Greece because many people choose to visit the Greek Isles and reach these destinations with ferries. What are the most expensive and cheapest cities and regions in Italy and Greece? Italy's most expensive destinations are usually the most popular places to visit. Cities like Florence and Venice can be quite expensive, particularly Venice, which has a shortage of hostels and budget hotels. Coastal Italy is also expensive, particularly if you visit during the peak summer months when cruises frequent the area. Although Rome is also expensive, it has a wider diversity of accommodation options and budget restaurants, so there are deals to be found. In Greece, popular island destinations like Mykonos and Santorini are usually more expensive than Athens. These locations have very few hostels, and the hotels are usually pricier than what you'd pay in a larger city. Restaurants can also be expensive, as can traveling to and from these islands. Summer months are the most expensive time to visit the islands, and you'll notice a dramatic increase in prices during these months. How you can save money when visiting Italy and Greece? Both Italy and Greece are effected by seasonal pricing. If you want to get the best deals visit during the off peak times. Slow down. 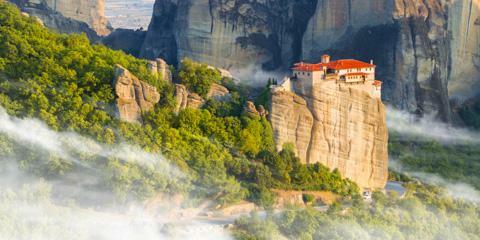 Particularly in Greece, transportation costs can be expensive, so plan to visit less places for longer periods of time. Take some time to just soak up the town you're in. Don't feel like you have to visit every museum, gallery, or entertainment venue. Instead, just take some time to walk around and explore the neighborhoods. Stay with a local. It's possible in some places to rent a room in someone's home. Research your options in advance as this is a fun and affordable way to enjoy these countries. Enjoy an outdoor picnic. Restaurants can be pricey so grab some local food at a market or grocery store and find a good place to sit with a view. This is a great way to enjoy local food without spending a fortune.